Taking on acting jobs in 2015 may sound easy to you as an aspiring actor, especially if you are positive and confident about your talents and capabilities. However, becoming an actor won’t just take a day or two. Rather, it is a process you need to go through. Bringing life to characters on stage or in front of the camera takes a lot of time, aside from talent and imagination. People who leave their dreams as they are. People who have the desire and fantasize about becoming rich and famous. People who set goals, educate themselves about acting and work towards the realization of their objectives. Among these three groups of individuals, those who belong to the 3rd group are most likely achieve what they are after. This is how important setting goals are. If you understand this, you will know why the first two groups will never be able to make their dreams come to reality. Unlike the first two groups of people, the last group is aware that they have to set goals and do something to attain them. If you believe you belong to this group, then you must proceed and do whatever it takes to become an actor. Do you have the passion for acting or the craft as a whole? Are you ready for rejection and willing to handle one? Are you prepared to sacrifice and set aside everything for this kind of job? Do you have the talent and skills in acting? Once you have answered these questions, you are ready to join auditions and casting calls to get the job you have been dreaming about. Hint: All answers to the questions above must be ‘yes’, before you can proceed. Keep in mind that the acting industry can be tough and harsh. Any type of acting job is not easy to take on. So, you have to be ready for it. This is very important if you want to become an effective actor, who can portray the different roles and characters you might take on in the best way possible. You have to keep in mind that to efficiently interpret a writer’s story, you will not only need your feelings to develop your character, but also your imagination and creativity. You have to envision the writer’s thoughts and translate this into emotions, actions and speech. Scripts for plays, movies or TV productions contain your lines and they have to be read, memorized, understood and learned by heart. This makes it very important for you to have keen memorization skills or else you will have difficulty in delivering a convincing performance. Although you can add your own adlibs to your lines, you have to do so in a way that you follow your director’s instructions and you don’t deviate from the entire thought of what you were meant to say. Having this trait means not giving up hope and still going to auditions even if the only ones available are acting spots for commercials. It is continuing to pursue your goals even if you have been faced with one rejection after another, and there seems to be no future acting jobs in sight. It is remaining positive despite adversities and firmly believing that eventually, along with hard work, fate will smile down upon you and get you booked for a job that will launch your career. You need to be fit and healthy all the time, otherwise, you will not be able to perform. Remember that more often than not, when you are in a job, you will be required to work long hours. Moreover, there are going to be days when you will need to be in a location where heat is going to be your enemy. So, you have to make sure you can endure the physical struggles by making sure that you have sufficient physical stamina. Other than memorizing your lines, you also need to be quite adept at reading and comprehension. This is very important if you wish to become familiar with your role and its character. Your reading skills will enable you to master your job as you go through a story’s plot as well as your lines. As an actor, it is crucial that you know how to project and modulate your voice, according to the requirements of a role. You should also know how to enunciate your words, if you wish to be understood every time you open your mouth. Now that you are apprised of what it really takes to become an actor, especially when it comes to qualities and goals, the next thing you need to understand is what an actor’s job is all about. Just like any kind of career, the job of an actor can be as exciting as it is demanding. This is because it involves being hired to portray characters in movies, television, and on the theater stage. This means long hours of rehearsals or practice, fittings, and performances or filming. Jobs in this industry will also call for you to travel and perform in different places. So, you have to be prepared for all eventualities. Additionally, as you perform your role on stage or before the camera, you must know how to interpret the writer’s script and fulfill his goal, which is to entertain and tell a story to the audience. 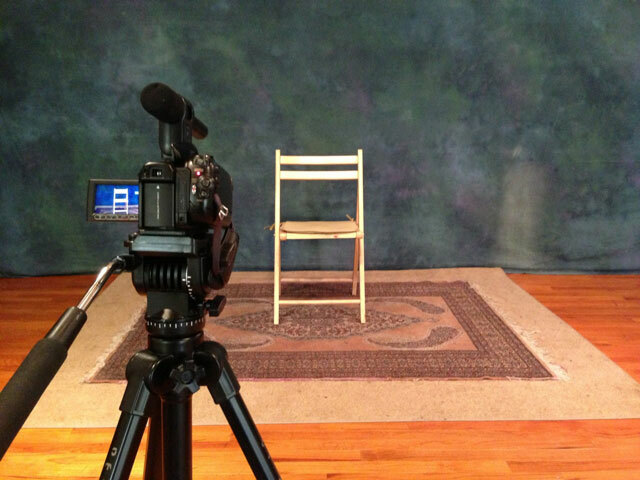 For you to get any kind of TV, movie or theater job, you need to go to an audition or a casting call. Among the most important things you need to prepare for these events are your resume and headshot. These two materials should go together, with your updated resume being only one-page long and your most recent headshot attached to it. Casting directors, producers, and agents usually look for these things before anything else. Although you have to stand in line and wait for your turn to audition, you need to be at the venue at least 15 minutes before the schedule. This is to give yourself ample time to fill out the registration forms and prepare yourself mentally, emotionally and physically before your name gets called. The audition itself will be quite short. It will run for about 5 to 15 minutes. After this, you will either be asked to wait for the results or go on home and wait for a callback. The latter is where you will be asked to come in and repeat your audition, so the casting panel can decide whether or not to book you for the job. Do not sign any contract or agreement if you haven’t read the script or met with the agents and other professionals involved in the production. There are times when your role is not what you expected and this might create problems with your performance later on. Since you will be portraying different roles and characters, doing research on the traits or personality of your role and the possible emotions needed for a scene will allow you to have a background on what how you are going to internalize and deliver your character to the audience. Your lines are important. Although the way you deliver them will matter the most, as they are the backbone of any story, it is still more crucial that you learn them by heart. This way, you will be able to understand your role better. Although you would still have to memorize your lines, make sure that you do understand them as this will also help you in giving out a better performance. Your role in a production is crucial. You would not be hired for a job if you are not needed in it. This is one of the reasons your relationship with your director has to remain harmonious. Discuss your role with your director and other actors as well. Otherwise, you will never be able to provide the results needed by the directors. You need to prepare before anything else. You cannot just do an impromptu session right when the camera is already rolling. No matter how excellent you are in this craft, practice is still essential. Each line and movement has to be properly practiced and learned before you face the camera and give it all your worth. Directors know the direction they want for a production, so you have to make sure that you follow their instructions. These will help you deliver the kind of performance they need for a scene or the whole project. As an actor, you have to work with other actors under the instructions of the director. This, along with creating a solid character that people can empathize with is your main responsibility as a performer. It is up to you to work on projecting different behavioral patterns, which should include your speech and body movements. This is one of the best ways for you to achieve the right performance that will not only get the approval of your director, but also get a reaction from your audience. To Enroll or Not to Enroll in an Acting Class? Knowing if you are fit to become an actor as well as your duties and responsibilities as one is just the start of the entire process of embarking into an acting career. The next thing you should think about is whether or not you should enroll in an acting class. If you want to be successful as an actor, you have to plan ahead. This means that even if you are already a talented actor, you should be able to accept the fact that there are still some skills and techniques you might need to learn. One of the ways to accomplish this is by enrolling in acting classes or workshops. There are free classes you can sign up for, if you are still hard-up at the moment. However, you have to set aside funds for some actual and paid acting classes, as these will really help you hone your craft. Consider your classes as an investment for your future. 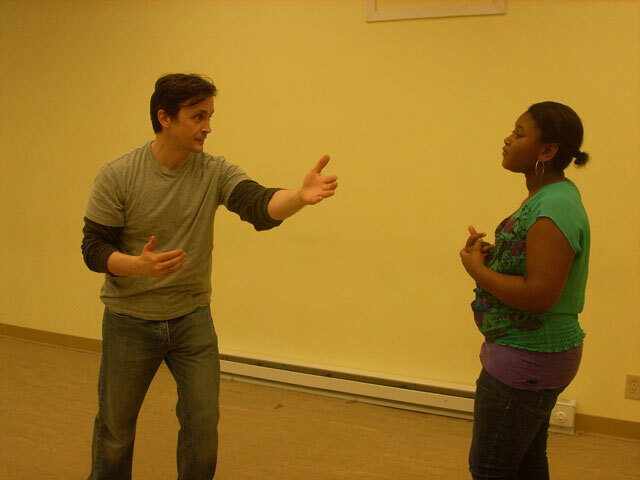 The purpose of getting enough experience or enrolling in an acting class is to polish your acting skills and talent before diving into joining acting auditions. Formal drama schools will help you develop some acting techniques that will enhance how you approach the development of a character. Meanwhile, getting more experience as an actor will allow you to better understand the process of delving into a role and delivering it in a way that will make your audience understand you. 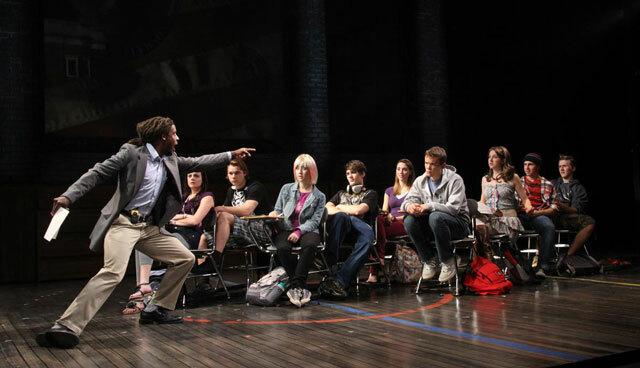 So, should you enroll in acting class? The answer to this is up to you. While formal education may not be necessary, as long as you have the talent. You can be assured that you will become more polished in your craft, if you will take the time to educate yourself more about acting and its numerous techniques. As soon as you have determined that you have everything needed to become successful as an actor, including acting classes and workshops, you might ask yourself how much are you really worth when you do get jobs. So, you have to understand that rates may vary depending on how established you are in the industry. Expect to get low pay as a newbie hired for extra roles or in theater ensembles. There are even times when you would have to contend with getting non-paying jobs, just so you can get some experience to place in your actor’s resume. If you will look at the highest paid actors in the industry and compare your earnings to theirs, then you will surely be disappointed. But, if you will continue to work hard without thinking of what you are making, then eventually you might just reach the point where you can be like them. Keep in mind that many Hollywood stars started out just like you. Brad Pitt, Eva Longoria, Megan Fox, Channing Tatum, Renee Zellweger and Clint Eastwood, among others, started out as extras before they made a name for themselves in the entertainment industry and earned the kind of money they are making now. According to the US Department of Labor, from 2013 up to the present, the average rate earned by a person working in the entertainment industry is $42.80 per hour. In the same period, 155,740 people have been listed to be working in the industry, including, actors, directors, and producers. Although there are some people who believe that acting jobs in New York or LA are better paid than in other parts of the country, this is not really the case. While there are actors who collect more money than others, this is because they work longer hours. Earnings are dependent on the scope and size of a production as well as union membership. To earn better rates and to fully establish yourself as an actor, you have to belong to an actors’ union. In the United States, you need to become a member of the Screen Actors Guild-American Federation of Television and Radio Artists (SAG-AFTRA). One of the most distinguished actors’ unions in the world, membership to SAG-AFTRA will allow you to earn more money compared to when you are not a member. Although dues can be quite expensive for actors who just started in the industry, joining a union will help protect your rights as a performer. As a member, you will have to pay $198 annually, plus 1.575 percent of all your earnings of $1 to $500,000 with contracts under SAG or AFTRA. Aside from better pay rates, membership to the union will also entitle you to such benefits as pension and health care, casting workshops, and the issuance of contracts, even if you are working for low budget or student films. It will also provide you entry into the SAG-AFTRA Conservatory, where you can be part of workshops spearheaded by professionals in the industry, who will assess your acting skills and help enhance them. While there are production companies that will shoulder your expenses if you have to travel to another state, town or city to be part of a project, most of the time this won’t happen. So, before you audition for any job, you need to consider its location and see if it is possible for you to be there or not. Becoming an actor is going to cost you financially. So, you need to make sure that you have sufficient funds to make things happen. This means that you will need a day job or freelance work that will help take care of the bills and will still enable you to take off from time to time for casting calls and auditions. You will only succeed as an actor if you are dedicated to becoming one and have ample time to attend classes, workshops and countless of auditions. Although considering and knowing all these things is not a guarantee that you will be successful in the industry, they can help open windows of opportunities that will lead you to the accomplishment of your goals. 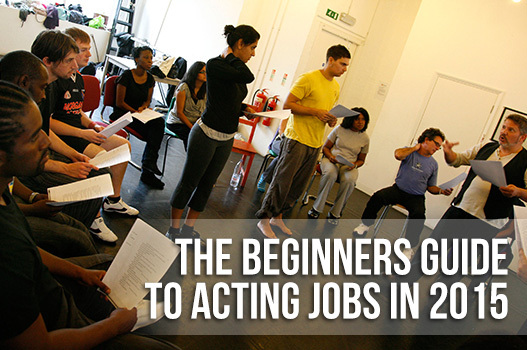 Remember that becoming an actor or getting acting jobs this 2015 is not going to be easy. This kind of career requires plenty of effort, time, and money. So, you need to be prepared for all eventualities and allow your passion, talent, and skill to fuel your dreams.